My oh my, the times are changing! There are now millions of vegetarians in the country, even more are moving that direction, and the range of food choices they have grows every year. 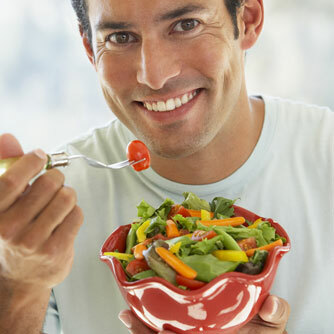 A recent Harris poll, showed that 3.2 percent of U.S. adults, or 7.3 million people, follow a vegetarian-based diet. In addition, 10 percent of U.S. adults, or 22.8 million people, say they largely follow a vegetarian-inclined diet. The study also indicates that of the non-vegetarians surveyed 5.2 percent, or 11.9 million people, are “definitely interested” in following a vegetarian-based diet in the future. Businesses are starting to notice this sea-change, and to offer more vegetarian choices. From the Earth Burger Veggie Burger Stand in Texas to the sofritas options at the Chipotle Mexican Grill chain, it seems there are more vegetarian choices available in restaurants every day. Meanwhile, the food manufacturers are making meat substitutes more real like than ever and some are even hyper-real. For instance, one company is developing a burger that actually bleeds. Don’t worry it’s plant based blood! It seems that the environmental groups are finally starting to acknowledge the benefits of eating plant-based foods for the environment, and leaders such as Al Gore have chosen to switch to a vegan diet. On the health front, Dean Ornish’s groundbreaking study into the ability of lifestyle changes, including a plant-based diet, to reverse heart disease, was published back in 1990, and was followed by studies into both heart disease and many other diseases by doctors around the world, but it is only more recently that mainstream doctors are starting to recognize that dietary changes should be standard practice for patients with certain common conditions. The announcement that the president of the American College of Cardiology, Kim Williams MD, prescribes a plant-based diet to his patients and is himself a vegan, brought the issue to the forefront of the medical world as never before. Increasing numbers of athletes are also recognizing that a plant-based diet can help them improve their performance. From top runners such as Scott Jurek, to champion body builder, Patrik Baboumian, to Olympic medal winners, it seems that a vegan diet is the diet of champions these days. As vegetarian diets are taking off in the US, they are also becoming popular in other parts of the world, including some places that you may not expect. Vegetarian food is making a comeback in China and Japan. In Norway, the entire military is now served vegetarian food at least once a week, while in Germany, they recently held their first ever Oktoberfest to feature vegetarian food including meat substitutes prominently. Vegetarian food has long been popular in Great Britain, and India, while in Israel, vegan food has become all the rage. The future for vegetarians and their food looks bright. We are confident that as the world continues to recognize all the many benefits of a vegetarian diet, this trend will continue to grow.